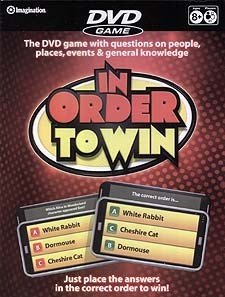 The DVD game with all the answers, but can you put them in the correct order? Grab the remote control and a score sheet and go head to head with your friends and family. Just rank the answers you're given on screen in the correct order, and you win! Sounds easy? Well, the action really hots up in the speed round, where you only have a limited time to put your answers in order. What's first, what's the longest, what's the tallest?